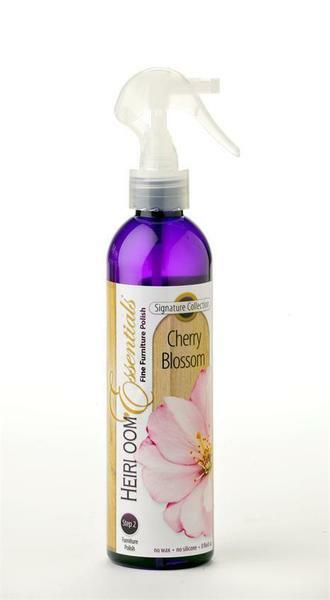 Delicate pure white petals fill the air with our popular Cherry Blossom Furniture Polish. This polish will leave a naturally light and lovely aroma in your home or business. This silicone free polish is our most popular furniture polish! Woodwright® Stain & Finishes have been developing quality stains, varnish and furniture polishes for solid wood furniture and cabinetry for years. This American made furniture polish will have your home smelling fabulous for hours! This polish does not contain wax or silicone so it will not leave a waxy buildup or film on your furniture. The finest oils are used in the production of this polish which moisturize and preserve the wood. Your fine furniture will be protected so it is sure to remain a family heirloom that has been passed down for generations. Remove adhesives from many surfaces. Spray on surface and allow to soak, then simply wipe away. Detail your vehicle interior (not to be applied to cloth). NOTE: Please be sure to test a small spot to be sure that the polish works well with your materials you are trying to clean. Be sure to check out our other furniture polishes such as our refreshing Lemon Zest.